I’ve explained previously why I feel it’s important to do my monthly previews. The short version: Always have a plan. Then when the proverbial poodoo hits the fan… you’re prepared to improvise because you’ve already thought about your short term priorities. Equally important, though, is to stop and look back at what you have accomplished and where there is room for improvement. So here are the highlights of FANgirl Blog 2013. January started with Kay reviewing Scoundrels and Megan interviewing its author, Timothy Zahn. Priya interviewed Leigh Butler of TOR.com, reported on the Veronica Mars Kickstarter success, and wrote a piece on Native American heroines. Linda interviewed actor Joe Gatt and James Arnold Taylor, and her daughter Skye shared her experience making friends through Star Wars Reads Day. 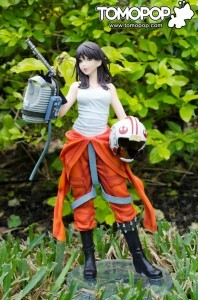 Kat of the Lady Rogues joined the Sharing Star Wars series. Mary threw her fangirl enthusiasm into GrayHaven Apprentice and recapped it in her Success for Women in Indie Comics series. Megan, B.J., and I did a round robin for The Clone Wars Season Five. There’s much more, for which I am so grateful, and I look forward to great things from all these contributors in the future. Already in the schedule for 2014, we continue some of our roundtable discussions of family and diversity in Star Wars, Kay will review of Honor Among Thieves and Megan, who did a fabulous job on The Clone Wars coverage, will be focusing on Rebels. Not to be forgotten: We were pirated for a day by Hondo Ohnaka. 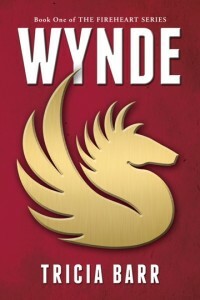 The women of Star Wars and the Expanded Universe had a lot of exposure this year: Leia in Razor’s Edge, Leia’s descendant Ania Solo headlining her own comic with Legacy, Jaina Solo’s ArtFX sold out, Wedge and Iella art for Valentine’s Day, and Dawn of the Jedi and Kenobi featured well-written female characters such as Annileen Calwell and Lanoree Brock. A personal favorite was the Razor’s Edge art revealed here, which showcased Alderaanian pirates and diversity. Hopeful winds of change: With J.J. Abrams announced as director of Episode VII, perhaps whispers of a leading lady for Episode VII might be true. 3. The Year of the Fangirl Was and Is Awesome! Ashley Eckstein, who made the rounds for Ahsoka’s farewell, did not waste the spotlight, declaring 2013 the Year of the Fangirl. I chronicled the intangibles of The Clone Wars and Ahsoka’s impact on Star Wars, but The Daily Dot summed it up best by putting Ashley in their top ten list of fandom game-changers. First, RebelForce Radio launched in January. Second, I like to talk, and that led to a lot of podcast appearances this year, including Full of Sith, Star Wars Bookworms, ForceCast, Coffee With Kenobi, Star Wars Report, and Skywalking Through Neverland. (For a full list of my appearances, check here.) Teresa Delgado and I wanted to chat about our excitement over Celebration Europe news and formed Fangirl Chat. I also had a great opportunity with Assembly of Geeks, which isn’t a Star Wars-centric podcast but seems to end up on that topic a lot! Then Ashley Eckstein invited the Year of the Fangirl contributors to celebrate her birthday with RebelForce Radio, which eventually led to an amazing invitation to podcast for the RFR network. Teresa and I launched Fangirls Going Rogue in November! Thanks to Chris Amorim for the amazing artwork that captures Fangirls Going Rogue’s feel. Two cover features in Issue 142 and 144 talking about Padme and Leia. Need I say more? Is anyone surprised: I managed to give Jaina a mention. For me, writing is as fun as talking. Every guest appearance is a thrill. Some of my highlights: The Bearded Trio, the Mind Meld at SF Signal, and several times at the Star Wars Blog. 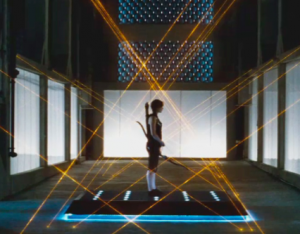 Considering FANgirl is a Star Wars-centric blog that covers genre stories and pop culture, posts on Katniss Everdeen and the Heroine’s Journey far and away won for ambient traffic, the hits generated by searches that result in people staying and reading. The bulk of that content has been written by FANgirl’s editor, B.J. Priester, who had one of those articles published in an academic book. Joss Whedon’s credibility has soared with the success of The Avengers, and shows like The Legend of Korra and Once Upon a Time have proven the chops of their male storytellers, too. It’s not just women who want and understand that better storytelling for women is good for everyone. But that doesn’t change the fact that women still aren’t on even ground in getting shots at telling stories. When they have, though, as in the cases of Catching Fire and Frozen, the success is undeniable. From the NYCC panels to the Hunger Games, 2013 brought plenty of proof that the magic formula is Fan Engagement + Passionate Storytellers = SUCCESS. More importantly, every day women are learning that it is okay to express opinions, to ask for what they want to see from the entertainment industry, to be their own hero, and to tell their own tales. My favorite example of women Roaring ala Katy Perry: GeekGirlCon. Every once in a while, a blog post comes together and a blogger gets that feeling. Then the readers respond, and you get that glowy feeling. Some of my favorites this year include Agent of My Own Destiny and Why Do We Write the Things We Do. After over a million words of practicing, playing in sandboxes, I got brave and let my muse do the talking. The end result is something I am very proud of – a book of my own. In 2014, I look forward to hearing what everyone thinks. All opinions are welcome. 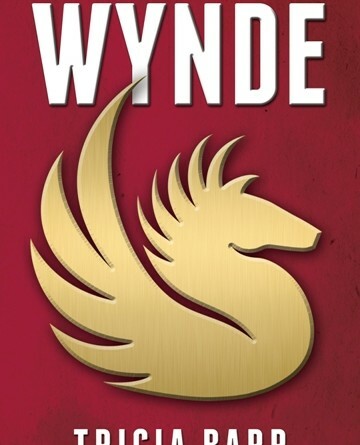 For a test drive of my novel Wynde, try the Teaser Trailer, listen to a few songs on my Playlist, or read about the Voices in My Head. Why it pays to reach out: After reading a post from author Janine Spendlove, who is a Marine Corps pilot, I decided to ask for her input on my fighter pilot scenes. 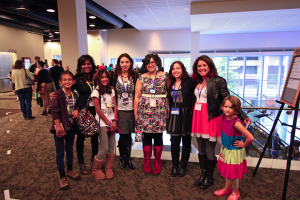 Her feedback was invaluable – and then a little thing called Athena’s Daughters happened. All in all, 2013 was a great year, but I wrote this piece after some tough times in the past few months, including an illness for Ganner the Jedi Horse and the death of my dog Sheltie Player after a prolonged struggle with megaesophagus. Those events took a bite out of The Plan and forced some improvisation. Looking back at all the great responses from readers and contributions here, from friends old and new, they reminded me why FANgirl and the fandom matters. Thanks to everyone who has stopped by. See you in 2014!